Can be made to any size! Please contact us with your requirements. Manufactured to last up to 20 years with minimum maintenance. 12 month warranty. 175 gallon (1000mm long x 1000mm wide x 1000mm high). 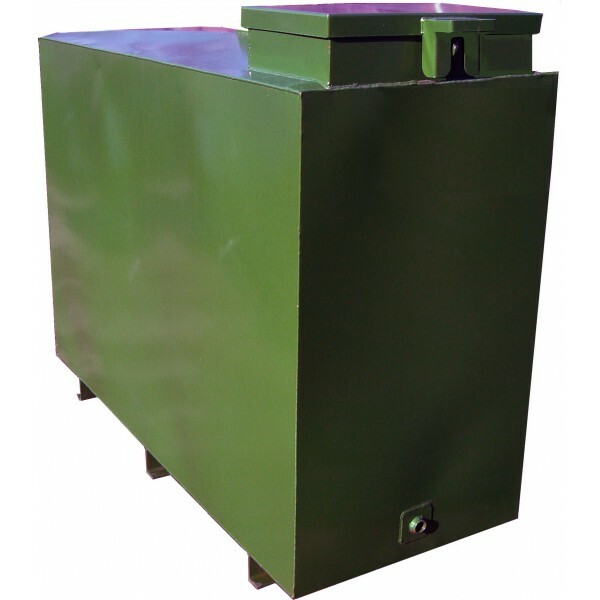 197 gallon (1250mm long x 1050mm wide x 890mm high). 220 gallon (1370mm long x 1065mm wide x 890mm high). 248 gallon (1675mm long x 750mm wide x 1220mm high). 248 gallon (1320mm long x 862mm wide x 1220mm high). 300 gallon (1370mm long x 1065mm wide x 1220mm high). 300 gallon (1989mm long x 760mm wide x 1220mm high). 350 gallon (1250mm long x 1250mm wide x 1220mm high). 400 gallon (1370mm long x 1370mm wide x 1220mm high). 400 gallon (2500mm long x 700mm wide x 1220mm high). 495 gallon (1675mm long x 1320mm wide x 1220mm high). 600 gallon (1980mm long x 1370mm wide x 1220mm high). 791 gallon (2500mm long x 1400mm wide x 1250mm high). 1000 gallon (2590mm long x 1650mm wide x 1250mm high). 1100 gallon (2450mm long x 1650mm wide x 1500mm high). 1200 gallon (2650mm long x 1650mm wide x 1500mm high). 1300 gallon (2850mm long x 1650mm wide x 1500mm high). 1300 gallon (1980mm long x 1980mm wide x 1980mm high). Fully bunded all steel tanks. 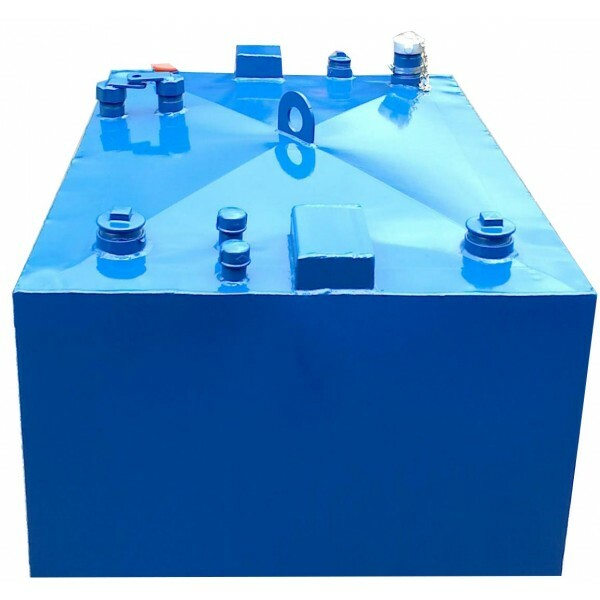 Designed to meet the Oil Storage Regulations when permanently connected to an appliance using steel pipework. Tank and bund stiffened internally. Tank vented into flask, then flask vented to atmosphere. Pyramid roof to allow water run off. 2” BSP fill point with cap. Sludge suction tubes on top of unit for tank and bund. Choice of top or bottom outlet. Lockable captivated dipstick for tank and bund. Painted in green as standard (other colours on request).